A great Vratham that was given by Lord Venkateswara Himself. In this whole universe there is no place greater then Tirupathi. There is no God greater then Lord Venkateswara, till now nor will there in the future. Great are the leelas of Lord Venkateswara. 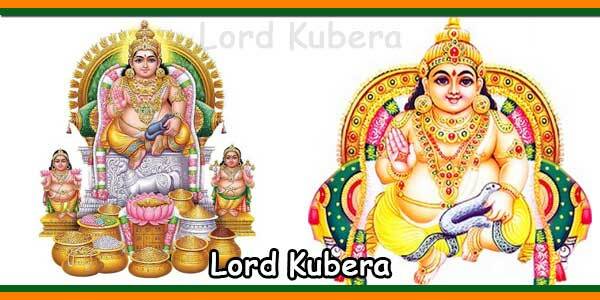 Lord Venkateswara himself has come and lived at Tirupathi in Kaliyuga to help us all overcome our difficulties. Lord Venkateswara loves his bhaktas a lot. If we leave out our egoism and desires for worldly things and pray whole-heartedly to Lord Venkateswara’s Lotus feet, he will take care everything. In Kaliyuga there is no greater God then Lord Venkateswara, That is the reason thousands of devotees go to Tirupathi to pray to the Lord everyday. If we pray to Lord Venkateswara whole-heartedly we will feel very happy and know him as the supreme God. ‘Sri Venkateswara Vratha Kalpam’ has been written with Lord Venkateswara’s Grace. In Kaliyuga all human beings experience various kinds of difficulties. If we want to get rid of our difficulties we should do the Venkateswara vratham just once, all our difficulties will vanish. 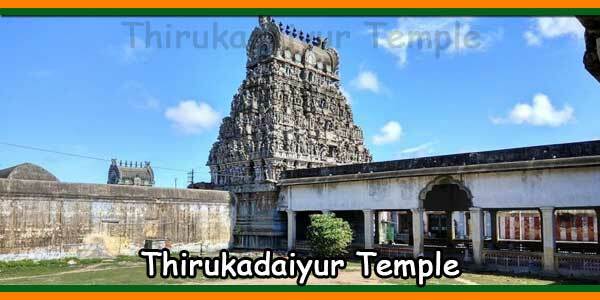 The first story in this vratham was written on Tirupathi Hill itself. This was written with the grace and order of Lord Venkateswara himself. The remaining four stories were written by great munis Vishwamitra, Bharadwaaja, Vasishtha and Aathri. Tirumala is a divine place. In Tirumala if we sit calmly at any place and meditate we can clearly hear the ‘Omkara’. Not only that we can hear the Vedas, the Puranas and Upanishads too. Even today Three Crores (mukothi) devathas and Mahamunis roam in Tirumala in invisible forms. Tirupathi is such a divine and holy place. 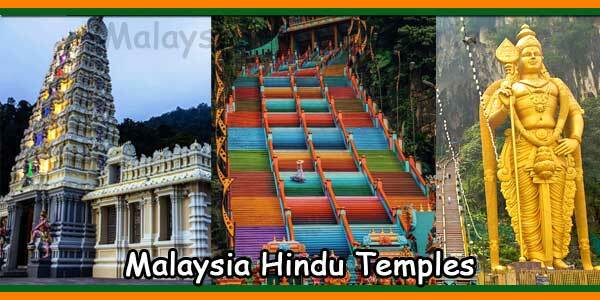 Only due to the fruits of good deeds earned for several lives we are able to set foot on the divine hill of Tirumala. Only with great merit can we serve the supreme lord. Doing this Vratham is very simple and easy. Every one can do the vratham according to their means and convenience. Any kind of difficulty goes away in a few minutes of doing this vratham. Bhakthi and concentration is very important while doing the vratham. With a peaceful mind, keeping full concentration on the feet of the Lord if this vratham is done, one can reap the full benefit immediately. Lord Srinivasa knows our limitations etc all the difficulties we face in Kaliyuga. That is the reason he gave us this very easy way of pleasing him and getting our troubles removed. That Lord will surely bless those who do this vratham, listen to the stories and eat the prasadam. Their difficulties will be removed. Writing this vratham has been a Mahayagnam. For an ordinary human being like this great priviledge of writing this book has come only due to Lord Venkateswara’s grace and blessings of all the gods and saints. While writing this book my wife Srimathi Venkata Rukmini Vaidehi and my children chirajivi Anandi, Amukh and Aditya. Sri Vasavi Graphics and Sri and Srimathi P. Jagdish did the cover page of this book very nicely. I pray that Lord Srinivasa and Goddess Lakshmi bless them. Similarly in printing this book many of Srinivasas beloved devotees helped me a lot. I pray that they and all their family members always get Lord Srinivasa’s grace. What can be greater luck then being able to write such a vratha that is the Lords favorite. I will spend my life in serving the Lord and taking his Tatwa closer to peoples hearts. I thank everyone who helped me in writing this book. There is no difference in Bhakthi, like small Bhakta, big Bhakta etc. Bhakthi is a divine quality. Every ones Bhakthi reaches Lord Srinivasa. Sri Venkata Nivasaya Sri Nivasaya Mangalam!!! In Kaliyuga to gain the blessings of Sri Ventakeswara this vratha is the best and easiest way. As soon as this vratham is done any kind of difficulties will be gone. This great vratha that Great Lord himself thought is very easy to do. This vratha can be done by anyone anywhere. If you are facing financial or health problems or any other kind of problems, if you do this vratham all difficulties will be resolved very soon. Also when you are doing any auspicious things like Gruhapravesam or marriage you can perform this vratha before starting the auspicious work. You can do this vratha for a good job, promotion or success in business you will see good results immediately. This vratha can be done on any day, doing it in Margashira, Magha, Kartika Months or on Pournami, Panchami, Sapthami, Ekadashi days or on days in which Sravan Nakshatram (which is the lords nakshatram) comes it gives a superior results. This vratham can be done in the morning or evening. This vratham has 5 stories in it. Lord Venkateswara told the first story. Great Munis, Vishwamitra, Baradwaja, Vashistha and Athri told the remaining 4 stories. This vratham can be done in your own house, rental house, the temple or any holy place. If possible invite friends and relatives and do the vratham. First the place where the vratham is going to be done has to be cleaned properly. Then a Mandapam should be made and Lord Venkateswara’s photo should be placed on it. If you can keep the Lord Venkateswara’s photo along with Sridevi and Bhoodevi in a Kalyana Venkateswara phose. It is much better then a normal photo. You need to keep a small idol of Lord Venkateswara or his form on a coin or just use a one-rupee coin. Then arrange the kalasam. 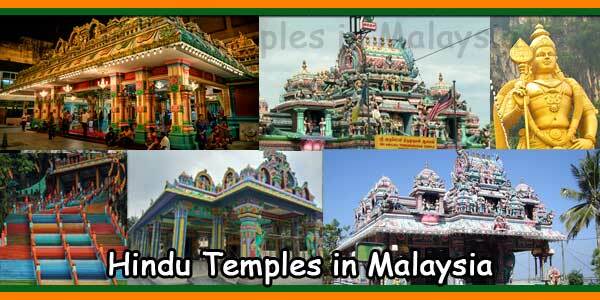 You can also keep photos of other gods which are your favorite deities on the Mandapam. Do prayer for the navagrahas and the ashtah dikpalakas or at least pray to them mentally. Make a small Vinayaka with turmeric powder. Pray to Vigneswara to make the vratham a success. After the vratham puja you need to read the 5 stories of the vratham. If anyone performs this vratham with full devotion and care (Bhakthi and Shraddha) the lord himself comes to that place in some form and takes the prasadam. This is a belief. 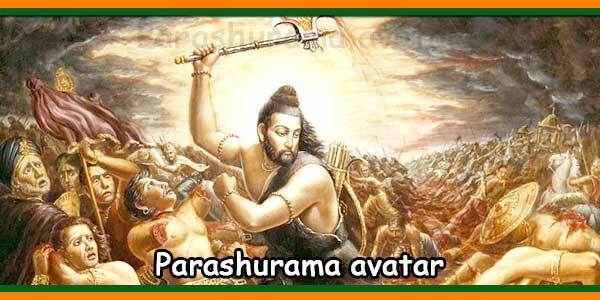 The lord himself told another important fact about the vratham. If any of us have some difficulty and need to perform the vratham but cannot do it that elaborately, due to time constraint or some other situation. We can do this vratham alone too. Sitting in front of the Lord’s photo first pray to Vigneswara mentally, then pray mentally to the navagrahas and ashtadikpalakas. Keep Tulasi leaves, flowers, and coconut and other fruits in the plate in front of you. Pray to the lord and read all 5 stories in the mind itself. Immediately all your difficulties will go away. After every story one coconut has to be offered as naivaidya, Maha prasadam has to be made of wheat rawa, sugar and ghee just like for Satyanarayan vratham. A banana has to be put in this prasadam before offering it to the lord. After each story we should say ‘” Govinda Govinda Govinda”. After the vratham break a coconut offer it along with the mahanaivadyam made of rawa and give it to everyone as prasadam you will get a lot of punyam. As far as possible do this vratha as carefully as possible with a kalasam and all. In case it is not possible we can do it in the second way as told above. There is one thing we all need to remember. No one knows all our difficulties like the Lord Venkateswara himself. So if we pray to the Lord using this vratham, we will resolve our difficulties and get health, happiness and wealth. • Sandal wood paste or powder. Create the Kalasam, spread a new cloth, put some rice on it, put a small container of fresh water on the rice and put a coconut on top of the container, put kumkum mark on the coconut. This is the Kalasam. Keep Lord Venkateswara Swamy Photo in front of the Kalasam if possible with Lakshmi devi and Padmavathi on either side. Before beginning the puja make sure you have the following things all ready in front of the God in the Puja room. Make sure to clean the room and the house properly before the Vratham. Om Apojyouthr Rasamrutham Bhrama Bhurbhuvasuvarom. Touch the water in the little glass in front of you. This is the little kalasam you use for praying not the one arranged with the coconut. Turmeric and Sandalwood and put a flower in it. Aavahayami Rathna Simhasam Samarpayami Padye Paadyam Samarpayami Hasthe Argyam Samarpayami Mukhe Aachamanyam Samarpayami. Sri Mahaganadhiathye Namaha Dvyasri Chandanam Samarpayami. Sri Maha Gana Di Pathye Namaha Durvadi Nana Vidha Pushapani Pujayami. Sri Mahaganadhi Pathyenamaha Depam Samarpayami Dhupa Deepanantharam Achamanyam Samarpayami. Om Samanaya Swaha Madhye Madhye Paniyam Samarpayami. Yagyna Yagyamaya Jantha Deva Sthani Dharmani Pradhaa Nyasana Tehanakam Mahiman Sachanthe Yathra Purve Sadhya Santhi Deva Punarachamanam. Sri Laksmi Padmavathi Sametha Sri Venkateswara Swamine Namaha. 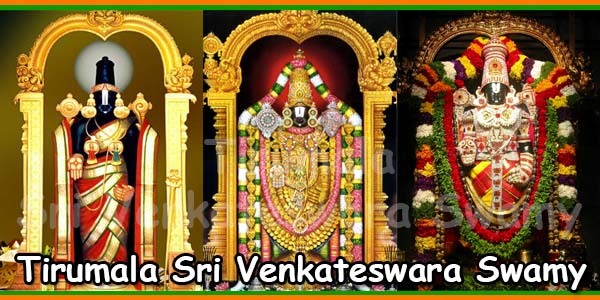 Om Sri Lakshmi Padmavathi Sametha Sri Venkateswara Paramathmene Namaha Divya Sundara Vigraham Pujayami. 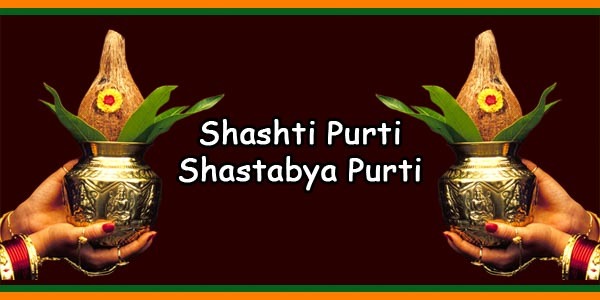 You can keep putting kumkum, turmeric, akshathas, tulasi leaves or flowers on the lord after each name or hold them in the hand and put them on the lord after the saying all the names. Say ‘Om’ before every name and ‘Namaha’ after the name while doing puja. Twam Yagye Sthvam Vashatkarsthvagam Mindrasthwam Rudrasthavam Vishnustwam Bhramasthvam Prajapathi. 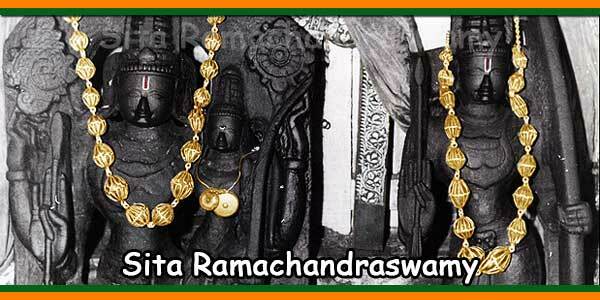 Anyaadyaana Vahanadhi Kshodha Shopachaara Pujaya Cha Bhagwaan Sarvatmkika Sri Laksmi Padmavathi Sametha Sri Venkateswara Swarupo Bhagwan Supritha Suprasanno Bhavthu.